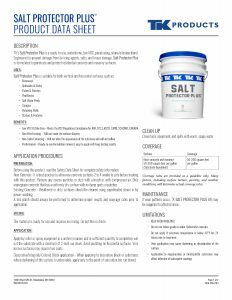 Salt Protector Plus is a water-based, low VOC coating that protects concrete and masonry surfaces from damage often associated with the use of salts or other de-icing agents. 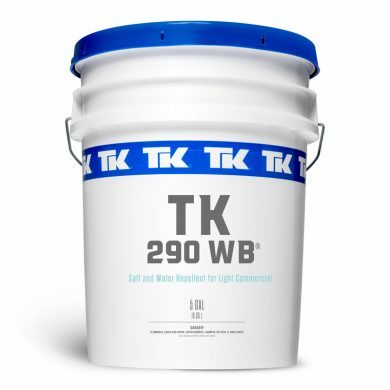 Vertical and horizontal surfaces can be protected with this coating. Salt Protector Plus™ will not make the surface slippery and help to avoid costly or unrepairable damages to concrete. 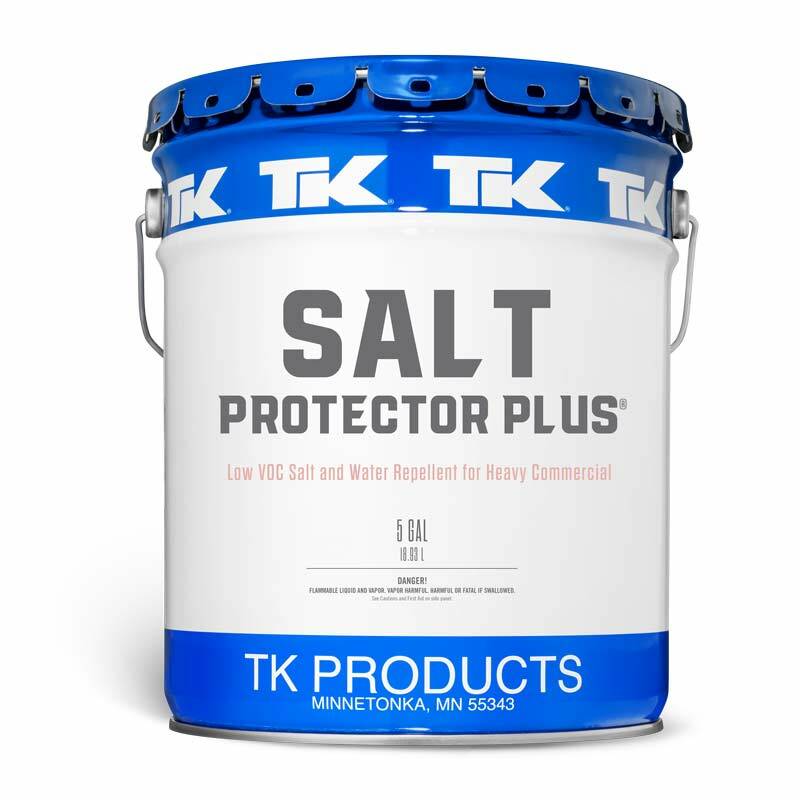 TK’s Salt Protector Plus is a ready-to-use, waterborne, low VOC, penetrating, silane/siloxane blend. 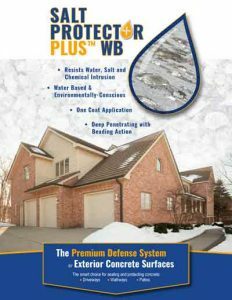 Engineered to prevent damage from de-icing agents, salts, and freeze damage. 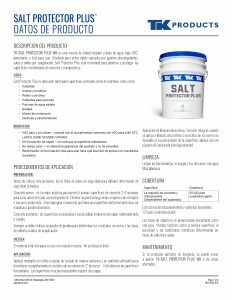 Salt Protector Plus is formulated to penetrate and protect residential concrete and masonry surfaces. 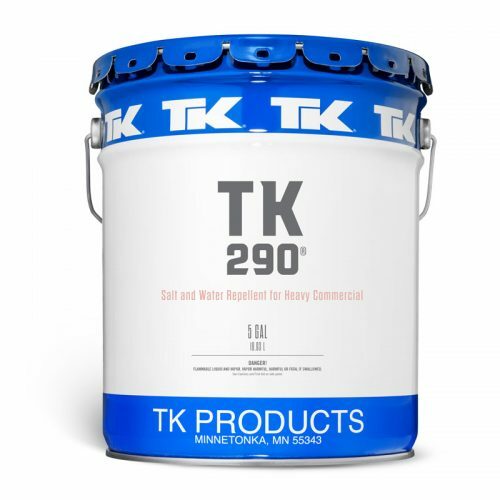 It is best practice to allow new concrete surfaces 2 to 4 weeks to cure before treating with this product. Remove any coarse particles or dust with a brush or with compressed air. Only impregnate concrete that has a uniformly dry surface with no damp spots or patches. Weathered or dirty surfaces should be cleaned using superheated steam or by power-washing. 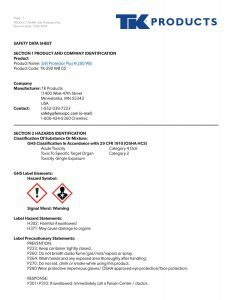 When applying to decorative block or substrates where darkening of the surface is undesirable, apply only to the point of saturation (no run down). Clean tools, equipment, and spills with warm, soapy water.